DAVOS, Switzerland, 21 January 2019 – What a difference a year makes. Nearly 30% of business leaders believe that global economic growth will decline in the next 12 months, approximately six times the level of 5% last year – a record jump in pessimism. This is one of the key findings of PwC’s 22nd annual survey of 1,300 plus CEOs around the world, launched today at the World Economic Forum Annual Meeting in Davos. This is in vivid contrast to last year’s record jump, 29% to 57%, in optimism about global economic growth prospects. Although, all is not doom and gloom: 42% still see an improved economic outlook, though this is down significantly from a high of 57% in 2018. Overall, CEOs’ views on global economic growth are more polarised this year but trending downward. The most pronounced shift was among CEOs in North America, where optimism dropped from 63% in 2018 to 37% likely due to fading of fiscal stimulus and emerging trade tensions. The Middle East also saw a big drop from 52% to 28% due to increased regional economic uncertainty. The drop in CEO optimism has also impacted growth plans beyond their own country borders. The US narrowly retains its position as the top market for growth at 27%, down significantly from 46% in 2018. The second most attractive market, China, also saw its popularity fall to 24%, down from 33% in 2018. Overall, India is the rising star on the list this year, recently surpassing China as the fastest growing large economy. The unease about global economic growth is lowering CEOs’ confidence about their own companies’ outlook in the short term. Thirty-five percent of CEOs said they are ‘very confident’ in their own organisation’s growth prospects over the next 12 months, down from 42% last year. To drive revenue this year, CEOs plan to rely primarily on operational efficiencies at 77% and organic growth at 71%. The US retains its lead as the top market for growth over the next 12 months. However, many CEOs are also turning to other markets, reflected in the dramatic drop in the share of votes in favor of the US, from 46% in 2018 to just 27% in 2019. China narrowed the gap, but also saw its popularity fall from 33% in 2018 to 24% in 2019. As a result of the ongoing trade conflict with the US, China’s CEOs have diversified their markets for growth, with only 17% selecting the US, down from 59% in 2018. The other three countries rounding out the top five for growth include Germany at 13%, down from 20%; India at 8%, down from 9%; and the UK at 8%, down from 15%. “The turn away from the US market and shift in Chinese investment to other countries are reactions to the uncertainty surrounding the ongoing trade dispute between the US and China,” stated Moritz. As indicators predict an imminent global economic slowdown, CEOs have turned their focus to navigating the surge in populism in the markets where they operate. Trade conflicts*, policy uncertainty, and protectionism have replaced terrorism, climate change, and increasing tax burden in the top ten list of threats to growth. Of CEOs ‘extremely concerned’ about trade conflicts, 88% are specifically uneasy about the trade issues between China and the US. Ninety-eight percent of US CEOs and 90% of China’s CEOs have voiced these concerns. Of China’s CEOs who are ‘extremely concerned’ about trade conflicts, a majority are taking a strong reactive approach, with 62% adjusting their supply chain and sourcing strategy. Fifty-eight percent are adjusting their growth strategy to different countries. This year’s survey took a deep dive into Data & Analytics and Artificial Intelligence (AI), two key areas on leaders’ radar, to get CEOs’ insights on the challenges and opportunities. This year’s survey revisited questions about data adequacy first asked in 2009. It was found that CEOs continue to face issues with their own data capabilities, resulting in a significant information gap that remains ten years on. Despite billions of dollars of investments made in IT infrastructure over this time period, CEOs report still not receiving comprehensive data needed to make key decisions about the long-term success and durability of their business. Leaders’ expectations have certainly risen as technology advances, but CEOs are keenly aware that their analysis capabilities have not kept pace with the volume of data which has expanded exponentially over the past decade. When asked why they do not receive comprehensive data, CEOs point to the ‘lack of analytical talent’ (54%), followed by ‘data siloing’ (51%), and ‘poor data reliability’ (50%) as the primary reasons. When it comes to closing the skills gap in their organisation, CEOs agree that there is no quick fix. Forty-six percent see significant retraining and upskilling as the answer, with 17% also citing establishing a strong pipeline directly from education as an option. Eighty-five percent of CEOs agree that AI will dramatically change their business over the next five years. Nearly two-thirds view it as something that will have a larger impact than the internet. Despite the bullish view on AI, 23% of CEOs currently have ‘no current plans’ to pursue AI, with a further 35% ‘planning to do so’ in the next three years. Thirty-three percent have taken ‘a very limited approach’. Fewer than 1 in 10 CEOs have implemented AI on a wide scale. When it comes to the impact AI will have on jobs, 88% of China’s CEOs believe AI will displace more jobs than it creates. Other Asia-Pacific CEOs are also pessimistic at 60%, compared to 49% globally. CEOs in Western Europe and North America are less doubtful, with 38% and 41% believing AI will displace more jobs than it creates. “Although organisations in Asia-Pacific, North America, and Western Europe have reported comparable levels of AI adoption, we see a growing divide over their belief about the potential impacts of AI on society and the role government should play in its development,” stated Moritz. 1. 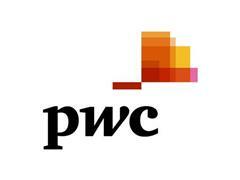 PwC conducted 1,378 interviews with CEOs in 91 countries between September and October 2018. Our sample is weighted by national GDP to ensure that CEOs’ views are fairly represented across all major regions. 10% of the interviews were conducted by telephone, 73% online, and 17% by post or face-to-face. All quantitative interviews were conducted on a confidential basis. 48% of companies had revenues of $1 billion or more: 36% of companies had revenues between $100 million and $1 billion; 15% of companies had revenues of up to $100 million; 59% of companies were privately owned. 2. Trade conflicts: *2019 was the first year CEOs were asked about policy uncertainty and trade conflicts.